Learn what products work best for your hair type and get a silky, smooth blowout – for free. 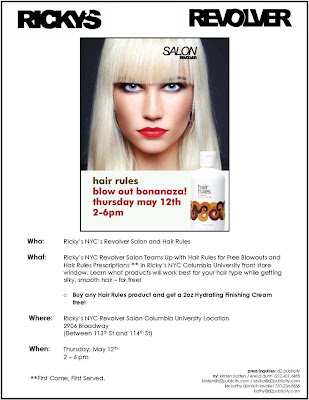 If you buy any Hair Rules product, you'll also get a 2oz Hydrating Finishing Cream free! As the norm: first come, first served.